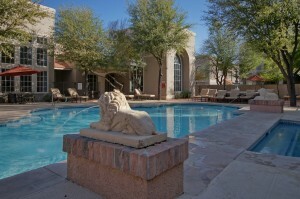 Charming 3BR/2BA Boulder Canyon Condos for sale in Oro Valley. This spacious recently remodeled 1,268 square foot condo features Catalina Mountain views, ceramic tile flooring, large covered patio, open kitchen and is conveniently located near the clubhouse and pool area. Resort style HOA amenities included heated pool & spa, exercise facility, clubhouse, business center, bbq areas and located just South of Catalina State Park.